Clifford Scott Ogle was born on March 18, 1967 at Fort Belvoir, Virginia. He was called to his Heavenly home November 19, 2018. He was a generous, caring man who loved his family, his friends, his job, and Scouting. As a child, he moved several times due to being a military brat. His father was a SgtMaj in the Marine Corps. The last move took the family to Belton, MO where Cliff graduated from Belton High School. Cliff was a graduate of the University of Missouri, Columbia in 1989. He moved to Las Vegas after graduation where he met his future wife, Kristi while she was attending the University of Nevada, Las Vegas. They fell in love and were married May 16, 1992. Three years later their daughter Marissa Nichole was born on Tax Day, April 15, 1995. Cliff worked for a computer, construction and surveying equipment store in Las Vegas for many years. In February of 2000, he received an offer to move to Kansas to work for one of the manufacturing companies for which he sold equipment. He accepted the job and moved in April 2000. Kristi was eight months pregnant with their son Matthew Christopher, who was later born on May 12, 2000. Kristi and the kids moved to Olathe, KS to join Cliff on July 31, 2000. 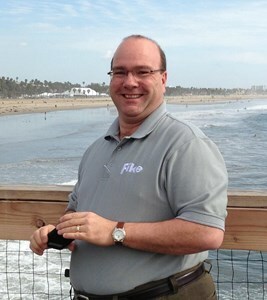 For the past six years, Cliff worked for Fike Corporation, where he hoped to work for many years to come. He loved his job, work family, and training fellow employees and associates around the world. He recently enjoyed business trips to Belgium and Florida where he dipped his toes in the Atlantic Ocean. Cliff was Cub Scout of the Year in 1977 in Pack 38 in Japan. He came back to Scouting when Matthew became a Tiger Cub in 2006. Cliff has been very active in scouting for the last 12 years, being awarded with honors including the District Award of Merit and Order of the Arrow Vigil Honor. He was an Honorary Warrior in the Tribe of Mic-O-Say, and was Wood Badge trained. He was also Counselor for the God and Country program and an Assistant Scout Master for first-year Scouts. His volunteerism in Scouting is too vast to detail. We love you Growling Morning Bear, Teach of Many! Cliff was the backbone of his family. He was extremely proud of his children Marissa and Matthew. Marissa is a Certified Nursing Assistant and Med Tech going to school for her nursing degree. Matthew, an Eagle Scout, recently joined the Navy and is stationed in San Antonio, TX. Both children are working toward a life of service caring for others. Although Cliff left us suddenly and unexpectedly, the last week of his life was spent doing the things he loved. He worked in the best job he ever had, he traveled to Florida for work and got to enjoy the beach and seafood, he spent quality time with his wife, and he cooked Thanksgiving dinner for over 60 people for his Boy Scout Troop 85 on a campout. Cliff lived life to the fullest. He had no regrets. It was too soon for the rest of us. We will miss him, but he is not gone. He is survived by his wife of 26 years, Kristi Ogle, daughter Marissa Ogle of Kansas City, KS, Matthew Ogle of Fort Sam Houston, TX, his parents Gerald and Renate Ogle of Henderson, NV, brothers Bill Ogle and Jay Ogle, and sister Kim Ogle. He is preceded in death by his sister Roberta. Services will be held November 24, 2018 at Advent Lutheran Church, 11800 151st Street, Olathe, KS 66062 at 2pm. A gathering will be held after the service. Add your memories to the guest book of Clifford Ogle. It was extremely sad when we received the news of the departure of Cliff Ogle on Nov 19 morning. Our deepest sympathies go out to Cliff and his family during this difficult period of time. Cliff is a valuable part of the Pressure Relief technical support team member. Our team members from Fike Asia Pacific appreciate Cliff’s support and his valuable contribution to our business growth in Asia Pacific region. We miss him. Our team has high respect to Cliff. Cliff earned our respect through his dedication on his works. Cliff helped our team went through many completed tough works. We are not that good in using words to describe our sadness of losing Cliff, his good deeds will be remembered in our heart. I was so very saddened when I heard of Cliff's passing. Cliff and I did not have a great deal of interaction in the course of day-to-day business, but I can honestly say that from day one, after I met him, I knew that I had met an extrodinarily great guy! Cliff was always very patient with my lack of experience and product knowledge in the beginning and was never judgemental of me. He and I discovered that we both loved rock and roll and he was so knowledgable of all the old "rockers" and their influential music. I always looked forward to calling Cliff with a question because I knew he would have or find the answer. I truly hope that Kristi and Marissa and Matthew can find some comfort in the fact that their husband and father influensed a great deal of folks they will likely never know. I can testify to you, his dear family, Cliff was a good man. I know that you already know this. May Almighty God give you all comfort in the knowledge that many others, who have been blessed to know Cliff, greive for him too. In honor of my FRIEND Mr. Cliff Ogle, PMP. Time was not long enough, I will truly miss our conversations, debates, arguments, laughter and just the time spent being there for each other. Your contribution and dedication in developing project management at Fike will not be forgotten, it will be remembered in every project, team member and customer you touched. You are a memorable part of my life at Fike, and for that, I am grateful. To the family, you were his highest priority and always mentioned in every conversation we had. Please find comfort in the many many proud memories you all created, they will forever live on and provide strength as you move forward. I had the honour recently to work with you in Europe and appreciated you as a passioned person in all aspects of life. Cliff loved to laugh! Cliff was a most energetic and focused and detail-oriented coworker, which made engineers happy to work with him. Cliff worked hard to achieve successful outcomes on projects from the beginning to end, which meant lots of PEOPLE time, and Cliff made his people feel loved and respected and held to a high standard. From rocket engines to petrochemical projects Cliff made this engineer's life a pleasure, and I am so thankful for the joy of knowing and working with Cliff and having him as a friend. I offer my sympathies to Cliff's family in this time of tremendous loss. Dan O'Halloran, Sr. Mechanical Engineer, Fike Corporation. First of all, I want to celebrate the incredible amount of fun and productivity Cliff lent to the Fike family. (Work Family) To say that the atmosphere in a room brightened when Cliff came in would be an understatement. In addition, I had the distinct privilege of calling Cliff a mentor and a friend, Few people get to be cubemates with a character that possesses so much warmth and charisma! From his silly stories about everything from fishing, Boy Scouts & friends, to the things that he cared about the most, Cliff always had a way of drawing you into his life and made you feel as if somehow you were part of it too. Christy, Matt., though I don't know you well, you should know that Cliff had an intense and enduring love for his family and it came out of him like sweat form his pours, everyone here knew it. He is & will continue to be missed here. So long my friend, rest easy, see you when He comes again. We are a Fike Rep firm who deals with a lot of people. Cliff was one of our all time favorite people. His hard work and always willing to help us was very appreciated. Such a fine and very special person, we will miss him very much. Cliff was a wonderful friend, colleague, and mentor who never shied away from a challenge. He was a friend to anyone and everyone where ever he would go. He will be missed dearly. My condolences with the loss of Cliff. I had the honour to work with him and even meet him a few weeks ago during his visit to Fike Europe. He will be missed by all of us. Cliff was my friend. We had a mutual respect for each other based on a one guy to another frankness. Part of why I liked him so much. He was incredibly professional yet very human. I know how much his family meant to him, you could just tell. I will miss him, but I'm sure not as much as those who loved him. I'm sorry for your loss.